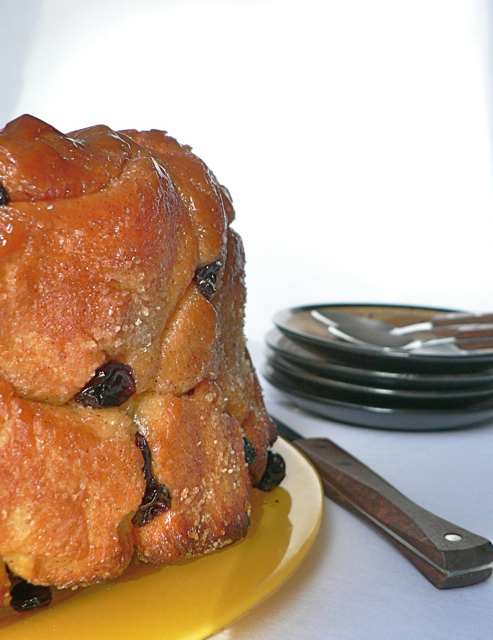 A bundt pan or any springform. 1) Dissolve the yeast in the lukewarm water and set aside for about 10 minutes. 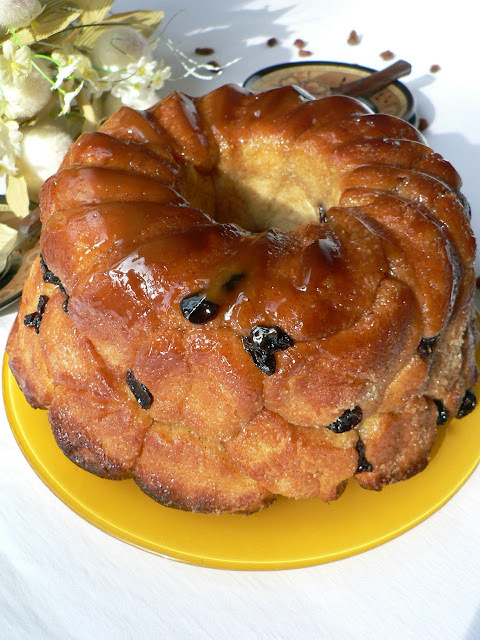 2) Grease a bundt pan generously with butter. 3) Melt the butter along with the milk and sugar on a medium heat. 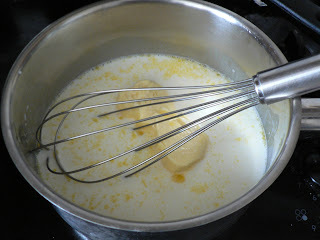 4) In a large bowl, mix together flour, yeast solution, salt, egg and the milk-butter-sugar. Knead it into a smooth dough. Please adjust the consistency of the dough by adding a little flour or water. 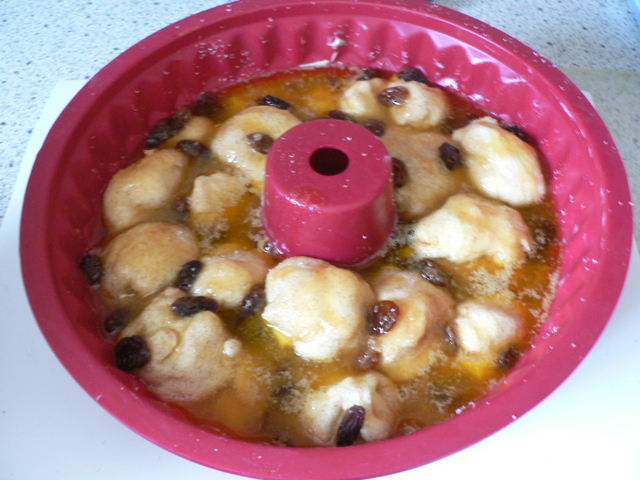 Cover the bowl and allow it to rise in a warm place for about an hour. 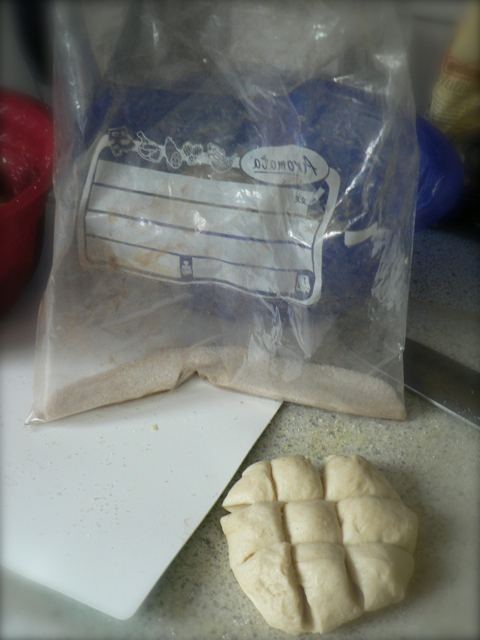 5) Knead the puffed up dough gently and divide it into small pieces. 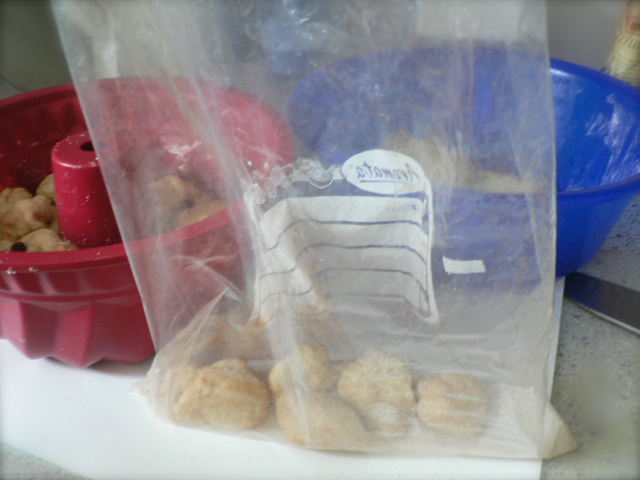 6) Mix together sugar and cinnamon in a zip-lock cover. 7) Add in the divided dough balls in parts and shake the cover well so that the balls are coated evenly with cinnamon-sugar. 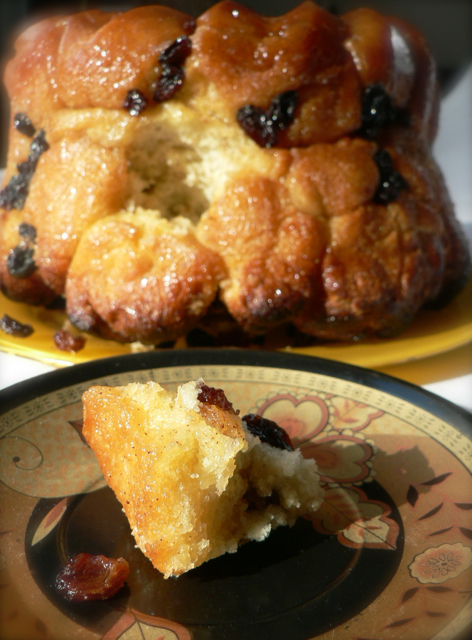 Cinnamon enhances the flavor and aroma of a bread and I find every opportunity to include in my breads. If you are a "no-cinnamon" person, no worries, just omit it and go ahead with only the sugar. 7) Place two layers of the balls in the greased pan. 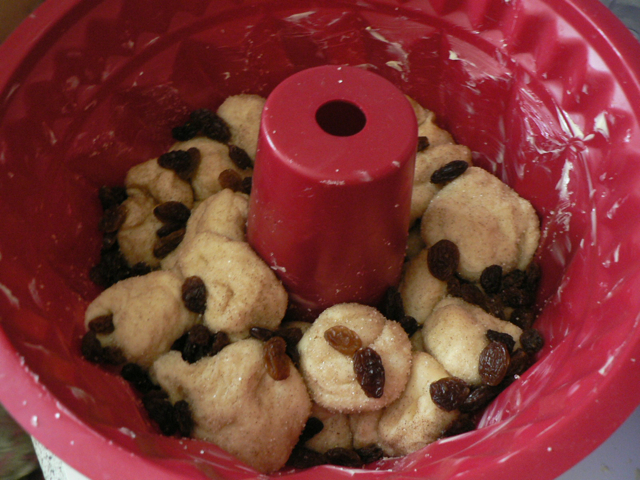 Sprinkle some raisins. Continue the same with the remaining balls . 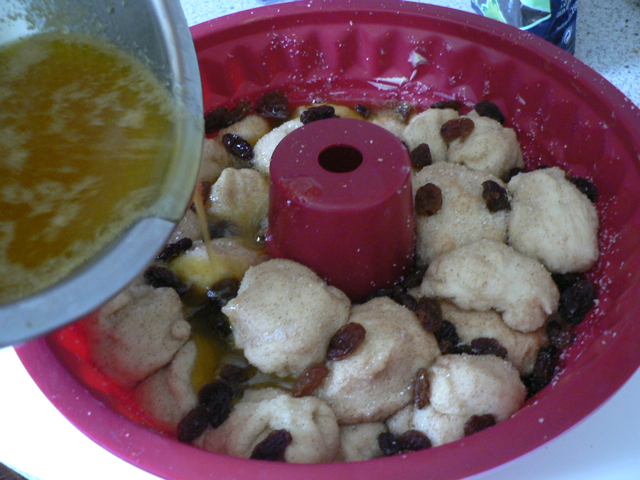 8) Melt the brown sugar and butter in a separate pan and pour it over the layered balls. 9) Cover the pan with a fresh foil and allow the dough to rise for another 20 minutes. 10) Preheat the oven to 210°C and bake the bread for about 10 minutes. Reduce the temperature to 180°C and bake it again for about 25-30 minutes until the surface turns golden brown. 11) Place the bread in a wire rack and allow to stand for about 10 minutes. 12) Flip the pan gently. The butter and brown sugar gets caramelized and gets coated on the bread beautifully once turned upside down. 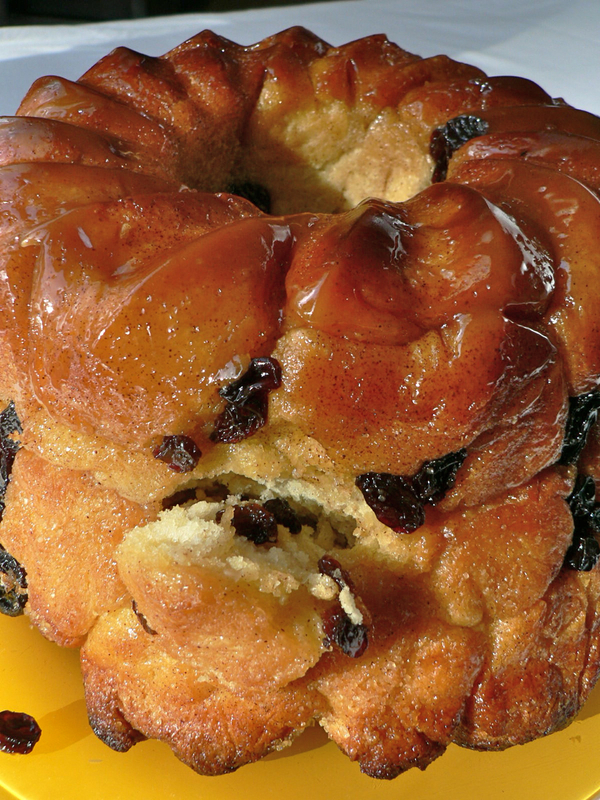 A rich treat as a Breakfast, Snack or a Dessert ! You could actually pull the bread apart with your fingers. Its sticky but doesnt matter you would end up licking them all ! The kids especially would love to do so. Infact my 2 year old daughter helped me from the start. She had so much fun and enjoyed every bit of the baking till eating. If you ever plan to have a baking day with your kids, this Monkey Bread is definitely the best option ! 1) It stays fresh in an air-tight container for 5 days and for about a month in a freezer. 2) Its generally served warm but tastes equally good at room temperature. 4) This bread is baked absolutely from the homemade dough. Many recipes of this bread ask for the refrigerated biscuits which are divided into small balls and continued with the Step 6. But I prefer to work and play with my own dough and do it from the scratch. My god! Reshmi, believe it or not, I made the same with few variations. Why we both always think the same. As always your home made bread looks very soft and yumm! Wow, looks very impressive, and taste so too. I am sure! Thank you for participating in World Bread Day 2011, too. this looks soft and moist definitely young and old will like it. 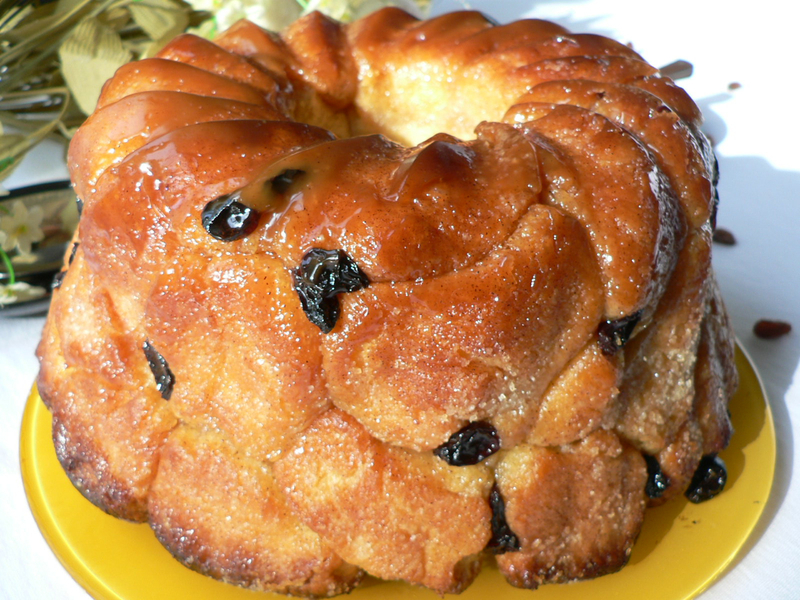 Very impressive and addictive monkey bread.. waou!! vraiment impressionnant comme pain! !j'adore les petits morceaux qu'on picore! !bonne soirée! 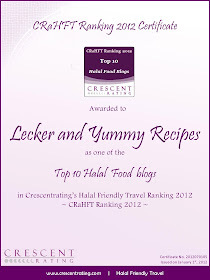 Hi Reshmi,glad I walked to your site.MashaAllah,what a nice thought about having the blog be useful for the kids in the future.I too add the recipes my kids love keeping that in mind.I invite you over to my space and hope you like it,dear. is it possible to make this and skip the egg since you are already using yeast? looks wonderful and want to try it soon! thanks for the post. Eggs help to bind the ingredients and assist in rising and drying and also add strength to the bread. Adding eggs to the yeast bread opens the structure of the bread so that there are larger holes int he structure. These holes contain air, which helps to lift the bread !